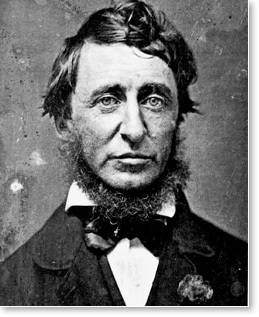 Henry David Thoreau was 28 when he went to Walden Pond, seeking spiritual regeneration through harmony with nature. He lived there for two years and two months in a cabin he built himself, reading, writing, and studying the surrounding woodland life. He published his experiences and reflections in his book Walden. Though neglected during Thoreau’s life, Walden has become a world classic. A century and a half has passed since it was published, yet Walden continues attracting, challenging, and inspiring new readers. 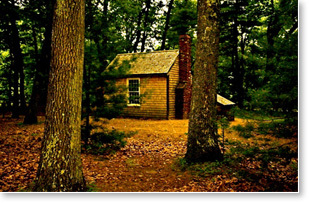 What motivated Thoreau’s “experiment” at Walden Pond? Why has it continued resonating so deeply with people for more than 150 years? 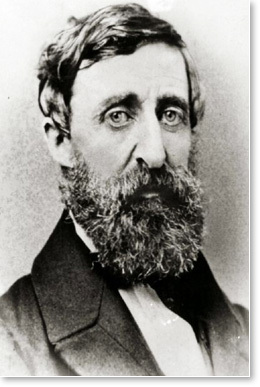 Ralph Waldo Emerson, Thoreau’s mentor and friend, had introduced Thoreau to the Vedic literature of ancient India. In these works Thoreau found a conception of human life and human potential that became his ideal — namely that the human soul, deep within, is divine, and that this divinity is to be found throughout nature. This became the central idea of the Transcendentalist movement, launched by Emerson — a movement based, above all, on direct experiences of this transcendental reality. Did he find what he was seeking? What did he experience in these “rare intervals” he refers to? Let’s look at some passages from his writing. These words remind us of Transcendental Consciousness, the fourth major state of consciousness, beyond waking, dreaming, and sleeping. This state Maharishi characterizes as “the simplest form of human awareness.” One’s mind settles inward, beyond perceptions and thoughts and feelings. Consciousness rests within itself, awake to itself alone, serene and unbounded, a silent ocean. In my better hours I am conscious of the influx of a serene and unquestionable wisdom. . . . What is that other kind of life to which I am thus continually allured? which alone I love? . . . Are our serene moments . . . simply a transient realization of what might be the whole tenor of our lives? Here Thoreau describes “serene moments” when his mind is like “the calmness of the lake when there is not a breath of wind,” “like a still lake of purest crystal.” He uses the words “serene” and forms of the word “calm” three times each. When he describes “the influx of a serene and unquestionable wisdom,” he suggests pure consciousness as a state of pure knowingness, pure knowledge. This state comes about, Thoreau says, “by some unconscious obedience to the all-just laws.” Pure consciousness, Maharishi explains, is the foundation not only of the mind but of nature itself – it is identical with the unified field of natural law. In Transcendental Consciousness the mind opens to the field of nature’s unbounded intelligence, the unified field of all the laws of nature. Thoreau wonders whether these special moments are “simply a transient realization of what might be the whole tenor of our lives” — in other words, whether this state could somehow become permanent. Maharishi explains that when we experience Transcendental Consciousness, the fourth state, on a regular basis, it begins to coexist alongside waking, dreaming, and sleeping. We become permanently anchored in our inner, unbounded, silent Self, ever awake in our innermost nature. This, Maharishi explains, is a fifth state of consciousness, which he terms Cosmic Consciousness. We can have this experience every day. We don’t have to build a cabin and isolate ourselves from society. We simply need to dive within. And for that we simply need a technique. This is what Maharishi has given us — a technique brought to light from the oldest continuous tradition of knowledge in the world, the ancient Vedic tradition of India, the tradition that so inspired Thoreau and Emerson. We now have a simple, natural, effortless procedure for enjoying this simple, natural, magnificent experience. 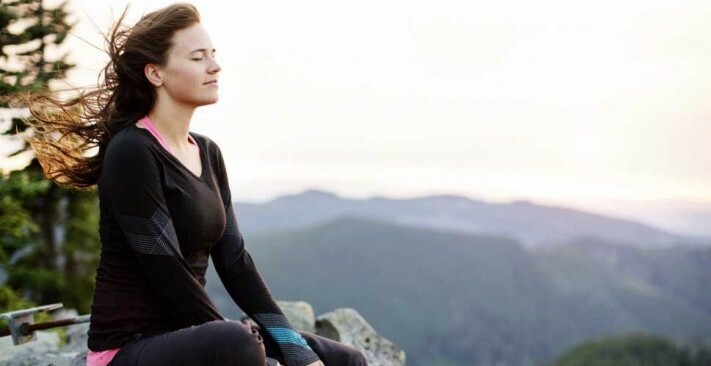 This is the Transcendental Meditation technique. We must learn to reawaken and keep ourselves awake, not by mechanical aids, but by an infinite expectation of the dawn, which does not forsake us in our soundest sleep. . . .
 Letter from Thoreau to Harrison Blake Concord, November 20, 1849. In Henry David Thoreau, The Writings of Henry David Thoreau: Familiar Letters, ed. F. B. Sanborn, Volume 6 (Cambridge: Houghton Mifflin, The Riverside Press, 1906), 175. The Selected Journals of Henry David Thoreau, ed. Carl Bode (New York: New American Library, Signet Classics, 1960), 39-39. Henry David Thoreau: A Writer’s Journal, ed. Carl Bode (New York: Dover, 1960), 38-39. Autumn and Winter: From the Journal of Henry D. Thoreau, ed. H.G.O. Blake, Con¬cord edition (Cambridge, Massachusetts: Houghton Mifflin, Riverside Press, 1929), 435.